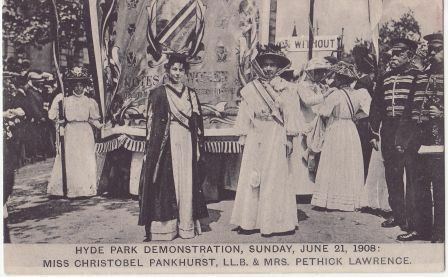 Hyde Park Demonstration, Sunday June 21 1908. Mrs Pankhurst, Mrs Wostenholme Elmy. 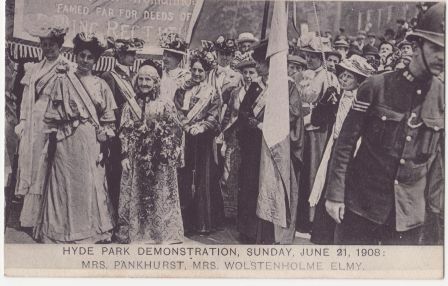 The demonstration in Hyde Park on 21 June 1908 (‘Women’s Sunday’) was the first major event in support of women’s suffrage. Estimates of the number of people attending the event varies but it seems to have attracted 200-300,000 people. There were numerous marches and stages set up for speeches by the Pankhursts and other leading figures. It was published by Sandle Brothers, Empire House, Paternoster Row, London EC. 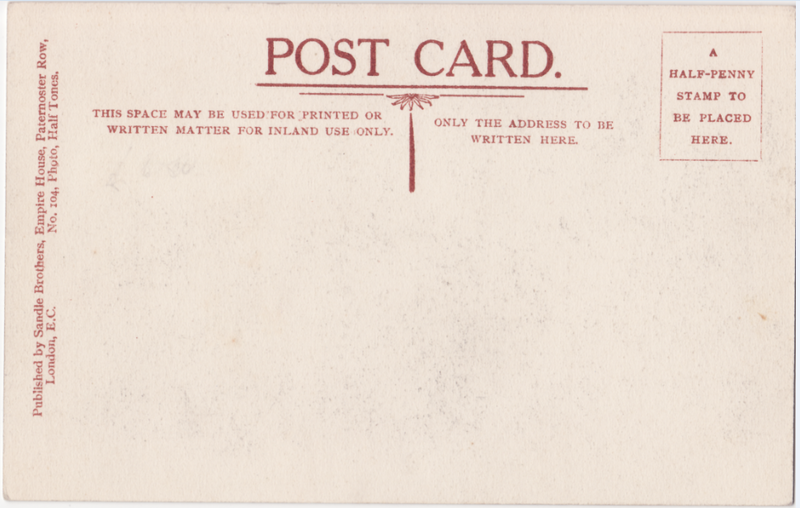 On the reverse of the card it states ‘No. 104, Photo, Half Tones’. 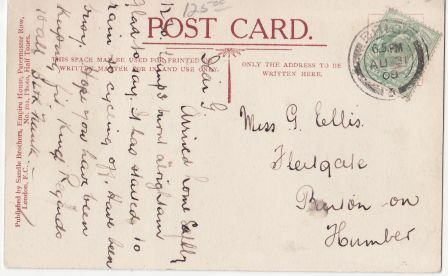 Miss Christobel Pankhurst, LL.B & Mrs Pethick Lawrence. I have another card from this demonstration and McDonald has a copy of one of the cards on page 45. The Museum of London has images of this event. A postcard shows the crowd and another, a photograph shows women preparing the banners.